Home automation is at the forefront of technology, yet it’s becoming rapidly more accessible for homeowners. The team at SecuritySystemReviews.com created a list of tips for homeowners to get started with home automation. With growing technology trends home automation systems are becoming more and more popular among homeowners, these simple steps will help any consumer get started with the home automation level of their choice. Home automation is becoming an increasingly more popular term, yet its meaning can be varied. Home automation systems can range from complex security systems, to simple energy saving techniques. For people who are just beginning to venture into home automation, it’s important to focus on their own priorities—meaning accomplishing the tasks that are most important to them. A few of the most basic home automation tasks including turning lights on and off based on a schedule, setting the home’s thermostat to save energy while the homeowners are away, and opening the garage with voice commands. The team at SecuritySystemReviews.com, a site that reviews the best home security systems throughout the country, from Washington Security systems to West Virginia security systems, has created a list of tips to help homeowners get started with automation. 1. Take the time to find the best possible hardware. This is the basis of any good home automation system, so don’t take it lightly. Research various platforms and associated hardware to find the option that will work best. 2. Home automation starter kits can be a good option for homeowners who are apprehensive about the process, but may not be a good long term solution. Most starter kids include things like plug-in modules, and light switches. Many professionals recommend skipping these starter kits however, and investing in something that can be built onto in the long-term. 3. While it’s important to consider the long-term investment, it’s also a good idea to begin in a way that’s manageable. Rather than trying to automate the entire house at one time, most professionals recommend taking it slowly, particularly since the home automation industry tends to change so quickly. 4. Choose products that are going to be compatible with one another. Buying the basics is a good starting point, and when adding new automation products, look for backward compatibility with what’s already present in the home. Backwards compatibility allows for expanding a system as technology evolves, as opposed to changing or replacing it. 5. Learn the terminology for the basic systems, such as Powerline vs. RF and X10 compatibility. 6. Don’t necessarily go for the products that have the most “hype”—as they tend to be expensive and difficult to locate. People should choose things that will work best for them, as opposed to what is being touted as the most advanced or “cool” in the automation world. 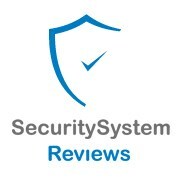 SecuritySystemReviews.com is a resource for anyone considering the purchase of a home security or automation system. The site features unbiased reviews and rankings of top companies and equipment, including DIY home security systems. In addition, site visitors can access coupons and discount codes which can be used toward the purchase of the best systems available.